Real Time Coverage at SLEEP 2018 meeting, Baltimore. BALTIMORE – (June 6, 2018) – A patient-reported outcomes study presented at SLEEP 2018 provides confirmatory real-world evidence of the previously peer-reviewed and presented data showing the 7-hour action of REMfresh®, a new product for sleep. REMfresh® Ion-Powered Melatonin™ is the first and only, continuous release and absorption melatonin™ (CRA-melatonin™) to mimic the body’s own 7-hour Mesa Wave™, the natural pattern of melatonin blood levels during a normal night’s sleep cycle. This induces sleep onset and provides lasting and restorative sleep for up to 7 hours. This new data shows a correlative relationship between a 7-hour Mesa Wave™ pharmacokinetic (PK) profile and real-world evidence of improvements in sleep duration, onset, maintenance and sleep quality after taking REMfresh® (CRA-melatonin™). The post-marketing REMfresh® Patient Reported Outcomes DURation (REMDUR) study was presented at SLEEP 2018, the 32nd Annual Meeting of the Associated Professional Sleep Societies (APSS), LLC, a joint partnership of the American Academy of Sleep Medicine (AASM) and the Sleep Research Society (SRS). Pictured here is David C. Brodner, M.D., and David J. Seiden, M.D., FAASM, after presenting the latest study data which found REMfresh is the first and only continuous release and absorption melatonin™ to mimic the body’s own 7-hour Mesa Wave™. In a sample of 500 patients on REMfresh® (CRA-melatonin™) responding to an online survey, 77.6 percent achieved 6 or more hours of sleep compared to 23.6 percent who slept that duration prior to taking REMfresh® (p<.0001). A vast majority of respondents also reported a major or moderate improvement in sleep onset (91.6 percent, p<.0001), sleep maintenance (94.8 percent, p<.0001) and total sleep quality (97.2 percent, p<.0001). More than three-quarters (76.6 percent) of patients indicated they take REMfresh® (CRA-melatonin™) nightly. The proportion of patients reporting nightly CRA-melatonin™ use was significantly greater than the proportion of patients with less than nightly use (p<.0001). Most importantly, over 98 percent of patients reported they were very likely or likely to continue taking REMfresh® (CRA-melatonin™) to treat their sleep complaints. “The real-world evidence reported today in REMDUR provides further confirmation that REMfresh® represents a significant advance in the use of melatonin as a baseline therapy for treating sleep complaints,” said David C. Brodner, M.D., a leading sleep specialist who is Double Board-Certified in Otolaryngology — Head and Neck Surgery and Sleep Medicine, founder and principle Physician at the Center for Sinus, Allergy, and Sleep Wellness, in Palm Beach County, Florida, and Senior Medical Advisor for Physician’s Seal, LLC®. “REMfresh® Ion-Powered Melatonin™ has been shown to be an effective drug-free solution that is now available to the millions of Americans in need of a good night’s sleep, many of whom seek new therapies that will induce sleep and keep them asleep until the morning, without causing residual effects they’ll feel the next day. With its unique delivery system that imitates the body’s own natural sleep pattern, REMfresh® has revolutionized the role of melatonin, when delivered in the CRA form. It is no longer just a treatment for jet lag, but the CRA-melatonin™ found in REMfresh® has been shown to provide substantial relief to individuals having nightly sleep challenges,” said Dr. Brodner. The scientifically advanced, patented delivery system in REMfresh® (CRA-melatonin™), called Ion Powered Pump™ (IPP™) technology, replicates the way in which the body naturally releases and absorbs melatonin, unlike conventional melatonin sleep products. Since REMfresh® is not a drug, there is no drug hangover. Nearly one-third of U.S. adults sleep less than the recommended seven hours daily., Increasing evidence suggests an association between sub-optimal sleep duration and adverse health outcomes including a higher risk of diabetes, hypertension, heart attack, stroke, obesity and depression. A pooled analysis of 16 studies and over one million patients found short sleep duration corresponded with greater risk of morbidity and mortality. The post-marketing REMfresh® Patient Reported Outcomes DURation (REMDUR) study was designed to obtain real-world evidence about patients’ sleep patterns, duration of sleep before and after REMfresh® (CRA-melatonin™), daily REMfresh® (CRA-melatonin™) use, onset of action, sleep maintenance, quality of sleep, and overall satisfaction with REMfresh® (CRA-melatonin™). Patients with sleep disturbances in the general population who received a sample of CRA-melatonin™ (REMfresh®) from their physicians were invited to complete a 12-question survey. Survey responses were received from 500 patients. REMDUR confirmed clinical trial findings from REMAKT (REM Absorption Kinetics Trial), a U.S.-based randomized, crossover pharmacokinetic (PK) evaluation study in healthy, non-smoking adults that compared REMfresh® (CRA-melatonin™) with a market-leading, immediate-release melatonin (IR-melatonin). The study results, peer-reviewed and presented last year at SLEEP 2017, showed that melatonin levels with REMfresh® (CRA-melatonin™) exceeded the targeted sleep maintenance threshold for a median of 6.7 hours, compared with 3.7 hours with the leading IR-melatonin. Conversely, the levels of the market-leading IR-melatonin formulation dramatically increased 23 times greater than the targeted levels of exogenous melatonin for sleep maintenance and had a rapid decline in serum levels that did not allow melatonin levels to be maintained beyond 4 hours. The REMfresh® (CRA-melatonin™) studies build upon the body of evidence from prolonged-release melatonin (PR-M), marketed in Europe, which demonstrated in well-conducted, placebo-controlled studies, statistically significant improvement in sleep quality, morning alertness, sleep latency and quality of life in patients aged 55 years and older compared with placebo. REMfresh® (CRA-melatonin™) was designed to overcome the challenges of absorption in the intestines, thereby extending the continual and gradual release pattern of melatonin through the night (known as the Mesa Wave™, a flat-topped hill with steep sides). There was a fast time to Cmax, which is anticipated to result in improved sleep onset, while the extended median plateau time to 6.7 hours and rapid fall-off in plasma levels at the end of the Mesa Wave™, may help to improve sleep maintenance and morning alertness. Conventional melatonin products have had challenges at mimicking the profile of a Mesa Wave™. The scientific work behind REMfresh® (CRA-melatonin™) sought to overcome these challenges by having the melatonin formulation in a matrix that maintains a patented, solubility-enhancing pH environment to help with the transport to the brush border of the gut and its subsequent absorption. Designed as a hydrogel matrix tablet, REMfresh® (CRA-melatonin™) provides rapid release of the melatonin from the surface of the tablet, as the hydrogel release-controlling matrix is setting up in the acidic environment (pH of 1 to 3.5) in the stomach. As the tablet moves into the higher pH (5.5 to 6.5) environment of the small-intestine, which is above the pKa of melatonin (~4.0), the acidic moiety in the tablet is designed to maintain the pH within the tablet below 4.0 for 7+ hours. The hydrogel matrix, after proper hydration, allows continuous release of the active melatonin and acidic moiety into the lumen of the intestines. Melatonin is produced by the pineal gland in the brain and is the body’s natural sleep ingredient. Melatonin levels normally begin to rise in the mid-to late evening and remain high for the majority of the night. Levels begin to decline towards early morning, as the body’s wake cycle is triggered. As people age, melatonin levels can drop by as much as 70 percent and their bodies may no longer produce enough melatonin to ensure adequate sleep. Other available products, such as immediate-release melatonin, help initiate the onset of sleep but are usually unable to sustain prolonged sleep maintenance due to an immediate burst of melatonin, which is quickly degraded due to its relatively short half-life (60 minutes). Absorption in the lower digestive tract is limited by melatonin’s limited ability to be absorbed in a low acidity or neutral pH environment. N1, N2, deep sleep and REM sleep. The body moves among these four stages several times while asleep. 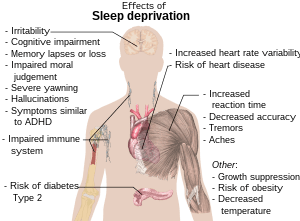 If sleep is disrupted for any reason, a person’s body may not have a chance to properly restore itself, especially if it is struggling to get to the later stages, called deep sleep and REM sleep. Studies have shown that sound and sufficient sleep is important for learning, memory and a healthy immune system. A regular pattern of deep sleep and REM sleep will help a person begin the next day feeling refreshed and ready to go. REMfresh® (CRA-melatonin™) is the first and only, continuous release and absorption formulation of UltraMel® melatonin (available as 2 mg and 5 mg and with a 0.5 mg anticipated in the second half of 2018). UltraMel® melatonin is a high-quality, 99 percent ultra-pure melatonin sourced from Western Europe exclusively for Physician’s Seal®. REMfresh® (CRA-melatonin™) is a dietary supplement and is regulated under the Federal Dietary Supplement Health and Education Act, which does not require pre-approval. Melatonin has been in common use for over two decades and has a well-established profile of safe use by millions of people around the world. As with all supplements, individual results may vary. REMfresh® (CRA-melatonin™) is non-habit forming and does not contain narcotics, hypnotics, barbiturates, sedatives, antihistamines, alcohol or other harsh or additive chemicals. The usual adult recommended dose is 1-2 tablets 30-60 minutes before bedtime. Follow specific dosing instructions found on the back of the box for proper use of supplements. REMfresh® (CRA-melatonin™) is available at Walmart, Rite Aid and CVS/pharmacy. In 2017 REMfresh® was ranked as the #1 recommended brand for sleep management by sleep doctors. Physician’s Seal® is the innovator of REMfresh®, the first and only continuous release and absorption, 99 percent ultra-pure melatonin™ (CRA-melatonin™) that mimics the way the body naturally releases and maintains melatonin over a 7-hour period. Physician’s Seal®, founded in 2015, is a privately held company based in Boca Raton, Florida. It is committed to bringing cutting-edge life science applications to doctors and their patients. For more information, visit www.remfresh.com and connect with us on Facebook and You Tube. Its sister subsidiary, IM HealthScience® (IMH) is the innovator of IBgard® and FDgard® for the dietary management of Irritable Bowel Syndrome (IBS) and Functional Dyspepsia (FD), respectively. In 2017, IMH added Fiber Choice®, a line of prebiotic fibers, to its product line via an acquisition. IMH® is a privately held company based in Boca Raton, Florida. It was founded in 2010 by a team of highly experienced pharmaceutical research and development and management executives. The company is dedicated to developing products to address overall health and wellness, including conditions with a high unmet medical need, such as digestive health. The IM HealthScience® advantage comes from developing products based on its patented, targeted-delivery technologies called Site Specific Targeting® (SST®). For more information, visit www.imhealthscience.com to learn about the company, or www.IBgard.com, www.FDgard.com,and www.FiberChoice.com. This information is for educational purposes only and is not meant to be a substitute for the advice of a physician or other health care professional. You should not use this information for diagnosing a health problem or disease. The company will strive to keep information current and consistent but may not be able to do so at any specific time. Generally, the most current information can be found on www.remfresh.com. Individual results may vary. David J. Seiden, M.D., FAASM, David C. Brodner, M.D., Syed M. Shah, Ph.D.
Visit Physician’s Seal® at booth 220 to learn more about REMfresh®. Ford, E.S., Cunningham, T.J., & Croft, J.B. (2015, May 1). Trends in Self-Reported Sleep Duration among US Adults from 1985 to 2012. Sleep, 38(5):829-832. doi: 10.5665/sleep.4684. Watson, N.F., Badr, M.S., Belenky, G., Bliwise, D.L., Buxton, G.M., Buysse, D.,…Tasali, E. (2015). Joint Consensus Statement of the American Academy of Sleep Medicine and Sleep Research Society on the Recommended Amount of Sleep for a Healthy Adult: Methodology and Discussion. Journal of Clinical Sleep Medicine, 11(8):931-952. doi:10.1176/appi.ajp.158.11.1856. Colten, H.R., & Altevogt, B.M. (Eds). (2006). Sleep Disorders and Sleep Deprivation: An Unmet Public Health Problem. Institute of Medicine (US) Committee on Sleep Medicine and Research. Washington, DC: National Academies Press (US). doi: https://doi.org/10.17226/11617. For this clinical trial, the head-to-head comparison was with the 5 mg form; a 2 mg form of the comparator was not available. Zisapel, N. (2010). Melatonin and sleep. The Open Neuroendocrinology Journal, 3: 85-95. Among primary care physicians with a certification in sleep disorders who recommended a brand of modified-release melatonin. Quintiles IMS ProVoice July-September 2017 survey. Curator: Gail S. Thornton, M.A. The role of melatonin is important in regulating natural sleep and wake cycles. Typically, melatonin levels decline with age, significantly decreasing after age 40. An estimated 50 to 70 million Americans are affected by sleep difficulties – a process regulated by melatonin — and long-term sleep deprivation has been associated with negative health consequences, including an increased risk of diabetes, hypertension, heart attack, stroke, obesity, and depression. Clinical data from a new pharmacokinetic study suggests that REMfresh®, the first and only continuous release and absorption melatonin (CRA-melatonin), helps maintain sleep for up to 7 hours. REMfresh® contains 99 percent ultra-pure melatonin and is sourced in Western Europe, a factor that is significant and important to many sleep specialists. Three research abstracts on the REMfresh® data were published in an online supplement in the journal, Sleep, and were presented recently at the 31st Annual Meeting of the Associated Professional Sleep Societies LLC (APSS). Image SOURCE: Photograph courtesy of Physician’s Seal®. REMfresh® (CRA-melatonin) mimics the body’s own 7-hour Mesa Wave™, a natural pattern of melatonin blood levels during a normal night’s sleep cycle. The study demonstrated the continuous release and absorption of 99 percent ultra-pure melatonin in REMfresh® (CRA-melatonin) was designed to induce sleep onset and provide continuous, lasting restorative sleep over 7 hours. The scientifically advanced, patented formulation, called Ion Powered Pump (IPP™) technology, replicates the way in which the body naturally releases and absorbs melatonin, unlike conventional melatonin sleep products. Since REMfresh® (CRA-melatonin) is not a drug, there is no drug hangover. Image SOURCE: Diagram courtesy of Physician’s Seal®. According to the primary study author, David C. Brodner, M.D., “These study results represent an unparalleled breakthrough in drug-free, sleep maintenance that physicians and patients have been waiting for in a sleep product.” Dr. Brodner is a sleep specialist who is double board-certified in Otolaryngology – Head and Neck Surgery and Sleep Medicine and is the founder and principle physician at the Center for Sinus, Allergy, and Sleep Wellness in Palm Beach County, Florida. The study findings are based on REMAKT™ (REM Absorption Kinetics Trial), a U.S.-based randomized, crossover pharmacokinetic (PK) evaluation study in healthy, non-smoking adults that compared REMfresh® (CRA-melatonin) with a market-leading, immediate-release melatonin (IR-melatonin). The study found that melatonin levels with REMfresh® exceeded the targeted sleep maintenance threshold for a median of 6.7 hours, compared with 3.7 hours with the leading IR-melatonin. Conversely, the levels of the market-leading IR-melatonin formulation dramatically increased 23 times greater than the targeted levels of exogenous melatonin for sleep maintenance and had a rapid decline in serum levels that did not allow melatonin levels to be maintained beyond 4 hours. Additional analysis presented showed that REMfresh® (CRA-melatonin) builds upon the body of evidence from prolonged-release melatonin (PR-M), which demonstrated in well-conducted, placebo-controlled studies, statistically significant improvement in sleep quality, morning alertness, sleep latency and quality of life in patients aged 55 years and older compared with placebo. REMfresh® (CRA-melatonin) was designed to overcome the challenges of absorption in the intestines, thereby extending the continual and gradual release pattern of melatonin through the night (known as the Mesa Wave™, a flat-topped hill with steep sides). There was a faster time to Cmax, which is anticipated to result in improved sleep onset, while the extended median plateau time to 6.7 hours and rapid fall-off in plasma levels at the end of the Mesa Wave™ may help to improve sleep maintenance and morning alertness. By the early 2000s, scientists had found that sleep helps young adults consolidate memory by reinforcing and filing away daytime experiences. But the older adults that Rebecca Spencer was studying at the University of Massachusetts Amherst didn’t seem to experience the same benefit. Spencer wondered if developmental stage altered the relationship between sleep and memory, and chose nearby preschool children as subjects. She found that habitual nappers benefitted the most from daytime rest, largely because their memories decayed the most without a nap. “By staying awake, they have more interference from daytime experiences,” Spencer explains. Until recently, most of the research into the relationship between memory and sleep has been conducted using young adults or animal models. These studies have suggested that dampened sensory inputs during sleep allow the brain to replay the day’s events during a period relatively free of distracting information, helping to solidify connections and transfer daytime hippocampal memories into long-term storage in the cortex. But how sleep and memory interact at different ages has been an open question. In children younger than 18 months, learning is thought to occur in the cortex because the hippocampus isn’t yet fully developed. As a result, researchers hypothesize that infants don’t replay memories during sleep, the way adults do. Instead, sleep merely seems to prevent infants from forgetting as much as they would if they were awake. “The net effect is that sleep permits infants to retain more of the redundant details of a learning experience,” says experimental psychologist Rebecca Gómez of the University of Arizona. By the time they are two years old, “we think that children have the brain development that supports an active process of consolidation,” she adds. At that age, adequate nighttime sleep becomes critical for learning. Toddlers who sleep less than 10 hours display lasting cognitive deficits, even if they catch up on sleep later in their development (Sleep, 30:1213-19, 2007). The effects are particularly strong in children with developmental disorders, who often suffer from sleep disruptions. “Kids with Down syndrome that are sleep-impaired look like they have very large differences in language,” says Jamie Edgin of the University of Arizona who studies sleep and cognition in such children. When comparing Down syndrome children who are sleep deprived with those who sleep normally, she has observed a vocabulary difference of more than 190 words on language tests, even after controlling for behavioral differences. Understanding the impact of sleep on memory could also help another at-risk group of learners at the other end of the age spectrum. Previous research has suggested that older adults don’t remember newly acquired motor skills as well as young adults do, perhaps because the posttraining stages of the learning process appear diminished. But neuroscientist Maria Korman and her colleagues at the University of Haifa in Israel recently demonstrated that a nap soon after learning can allow the elderly to retain procedural memories just as well as younger people (Neurosci Lett, 606:173-76, 2015). Korman hypothesizes that by shortening the interval between learning and consolidation, the nap prevents intervening experiences from weakening the memory before it solidifies. Overnight sleep might be even better, if the motor skills—in this case a complex sequence of finger and thumb movements on the nondominant hand—are taught late enough in the day, something she is testing now. Tests for older adults’ memory acuity are generating new findings about the relationship between sleep and memory at other ages as well. After learning at a conference about a memory test for cognitive impairment and dementia in older adults, neuroscientist Jeanne Duffy of Brigham and Women’s Hospital in Boston wondered if sleep could help strengthen the connection between names and faces. She and her colleagues found that young adults who slept overnight after learning a list of 20 names and faces showed a 12 percent increase in retention when tested 12 hours later compared with subjects who didn’t sleep between training and testing (Neurobiol Learn Mem, 126:31-38, 2015). The findings have “an immediate real-world application,” Duffy says, as they address a common memory concern among people of all ages. A poll by the National Sleep Foundation found that adolescents have a deficit of nearly two hours of sleep per night during the school week compared with the weekend, suggesting the potential for serious learning impairments, according to Jared Saletin, a postdoctoral sleep researcher at Brown University. In fact, one study found that restricting 13- to 17-year-olds to six and a half hours of sleep a night for five nights reduced the information they absorbed in a school-like setting (J Adolesc Health, 47:523-25, 2010). However, other studies have suggested that four nights of just five hours of sleep didn’t impair 14- to 16-year-olds’ performance on tests of skills and vocabulary (Sleep Med, 12:170-78, 2011). A lack of consistency in study design and the ages of the subjects makes these conflicting results difficult to interpret, Gómez writes in a review, and much remains to be discovered about the true impact of sleep deficits on teenagers’ learning (Trans Issues in Psych Sci, 1:116-25, 2015). The aim of the study was to investigate the associations between longitudinal sleep duration patterns and behavioral/cognitive functioning at school entry. Design, Setting, and Participants: Hyperactivity-impulsivity (HI), inattention, and daytime sleepiness scores were measured by questionnaire at 6 years of age in a sample of births from 1997 to 1998 in a Canadian province (N=1492). The Peabody Picture Vocabulary Test – Revised (PPVT-R) was administered at 5 years of age and the Block Design subtest (WISC-III) was administered at 6 years of age. Sleep duration was reported yearly by the children’s mothers from age 2.5 to 6 years. A group-based semiparametric mixture model was used to estimate developmental patterns of sleep duration. 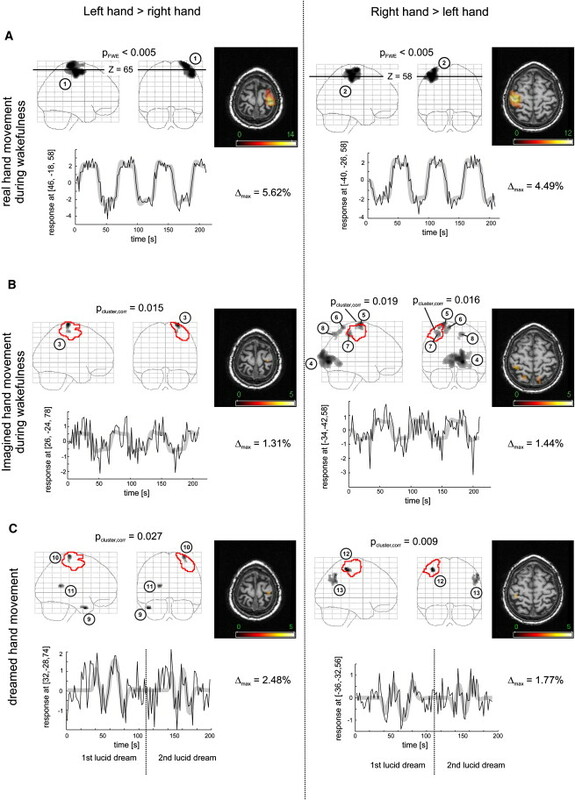 The relationships between sleep duration patterns and both behavioral items and neurodevelopmental tasks were tested using weighted multivariate logistic regression models to control for potentially confounding psychosocial factors. Results: Four sleep duration patterns were identified: short persistent (6.0%), short increasing (4.8%),10-hour persistent (50.3%), and 11-hour persistent (38.9%). The association of short sleep duration patterns with high HI scores (P=0.001), low PPVT-R performance (P=0.002), and low Block Design subtest performance (P=0.004) remained significant after adjusting for potentially confounding variables. Conclusions: Shortened sleep duration, especially before the age of 41 months, is associated with externalizing problems such as HI and lower cognitive performance on neurodevelopmental tests. Results highlight the importance of giving a child the opportunity to sleep at least 10 hours per night throughout early childhood. Citation: Touchette E; Petit D; Séguin JR; Boivin M; Tremblay RE; Montplaisir JY. Associations between sleep duration patterns and behavioral/cognitive functioning at school entry. SLEEP 2007;30(9):1213-1219. • Elderly individuals gain in practicing a new motor task as do young adults. • But elderly individuals fail to show delayed (offline) memory related gains. • A post-training nap uncovered robust offline skill consolidation in the elderly. • Consolidation processes are preserved in aging but are more stringently controlled. • Sleep scheduling can relax age related constraints on mnemonic processes. Using a training protocol that effectively induces procedural memory consolidation (PMC) in young adults, we show that older adults are good learners, robustly improving their motor performance during training. However, performance declined over the day, and overnight ‘offline’ consolidation phase performance gains were under-expressed. A post-training nap countered these deficits. PMC processes are preserved but under-engaged in the elderly; sleep can relax some of the age-related constraints on long-term plasticity. • We tested whether sleep influences the accuracy of remembering face-name associations. • Presentation and recall were 12 h apart, one time with 8 h sleep and once without. • More correct face-name pairs were recalled when there was a sleep opportunity. • Sleep duration or sleep stage was not associated with improvement between conditions. Sleep has been demonstrated to improve consolidation of many types of new memories. However, few prior studies have examined how sleep impacts learning of face-name associations. The recognition of a new face along with the associated name is an important human cognitive skill. Here we investigated whether post-presentation sleep impacts recognition memory of new face-name associations in healthy adults. Fourteen participants were tested twice. Each time, they were presented 20 photos of faces with a corresponding name. Twelve hours later, they were shown each face twice, once with the correct and once with an incorrect name, and asked if each face-name combination was correct and to rate their confidence. In one condition the 12-h interval between presentation and recall included an 8-h nighttime sleep opportunity (“Sleep”), while in the other condition they remained awake (“Wake”). There were more correct and highly confident correct responses when the interval between presentation and recall included a sleep opportunity, although improvement between the “Wake” and “Sleep” conditions was not related to duration of sleep or any sleep stage. These data suggest that a nighttime sleep opportunity improves the ability to correctly recognize face-name associations. Further studies investigating the mechanism of this improvement are important, as this finding has implications for individuals with sleep disturbances and/or memory impairments. The pattern of electrical signals propagated through neuronal networks determines brain function. Adam Cohen examines the possibility of visualizing these signals inside an intact brain using fluorescent transmembrane proteins that are sensitive to voltage. Cohen discusses the barriers to this approach, something he predicts scientists from many disciplines will eventually overcome. Adam Cohen is Professor in the Departments of Chemistry and Physics at Harvard University and Investigator of the Howard Hughes Medical Institute. He develops biological tools and analytical approaches to investigate the behaviors of molecules and cells in vitro and in vivo. His lab merges protein engineering, optics, and physics, among other disciplines, on a variety of projects. For example, they have developed a fluorescent transmembrane protein that detects membrane voltage, which is useful in visualizing electrical activity in cells, such as cultured neurons. Evolution can be defined as a change in heritable characteristics. In her fist talk, Hale does a excellent job of explaining how these changes occur. She uses examples, such as the variable color of the pepper moth, to explain selection of characteristics and she describes how geographic isolation can lead to the evolution of new species. In her second lecture, Hale describes work from her lab on the startle response, a highly conserved behavior found in fish and other vertebrates. Comparisons of the neurons which control the startle response, across many species of fish, have allowed Hale and her colleagues to determine how this neuronal circuit, and this behavior, have evolved over hundreds of millions of years. Part 1 is an outstanding video for high school or undergraduate educators looking for material to teach evolution. Part 2: Neural Circuits and How They Evolve: A Startling Example! Our brain is home to different types of neurons, each with their own genetic signature that defines their function. These neurons are derived from progenitor cells, which are specialized stem cells that have the ability to divide to give rise to neurons. Neuroscientists from the Faculty of Medicine at the University of Geneva (UNIGE) shed light on the mechanisms that allow progenitors to generate neurons. By developing a novel technology called FlashTag that enables them to isolate and visualize neurons at the very moment they are born, they have deciphered the basic genetic code allowing the construction of a neuron. This discovery, which is published in Science, allows not only to understand how our brain develops, but also how to use this code to reconstruct neurons from stem cells. Researchers will now be able to better understand the mechanisms underlying neurological diseases such as autism and schizophrenia. Directed by Denis Jabaudon, a neuroscientist and neuroscientist at the Department of Basic Neurosciences at UNIGE Faculty of Medicine and neurologist at the University Hospitals Geneva (HUG), the researchers developed a technology termed FlashTag, which visualizes neurons as they are being born. Using this approach, at the very moment where a progenitor divides, it is tagged with a fluorescent marker that persists in its progeny. Scientists can then visualize and isolate newborn neurons in order to dynamically observe which genes are expressed in the first few hours of their existence. Over time, they can then study their evolution and changes in gene expression. “Previously, we only had a few photos to reconstruct the history of neurons, which left a lot of room for speculation. Thanks to FlashTag, there is now a full genetic movie unfolding before our eyes. Every instant becomes visible from the very beginning, which allows us to understand the developmental scenario at play, identify the main characters, their interactions and their incentives”, notes Jabaudon. Working in the cerebral cortex of the mouse, the scientists have thus identified the key genesto neuronal development, and demonstrated that their expression dynamics is essential for the brain to develop normally. This discovery, by giving access to the primordial code of the formation of neurons, helps us to understand how neurons function in the adult brain. And it appears that several of these original genes are also involved in neurodevelopmental and neurodegenerative diseases, which can occur many years later. This suggests that a predisposition may be present from the very first moments in the existence of neurons, and that environmental factors can then impact on how diseases may develop later on. By understanding the genetic choreography of neurons, the researchers can therefore observe how these genes behave from the start, and identify potential anomalies predicting diseases. After successfully reading this genetic code, the scientists we able to rewrite it in newborn neurons. By altering the expression of certain genes, they were able to accelerate neuronal growth, thus altering the developmental script. With FlashTag, it is now possible to isolate newborn neurons and recreate cerebral circuits in vitro, which enables scientists to test their function as well as to develop new treatments. The UNIGE team posted a website where it is possible to enter the name of a gene and observe how it is expressed, and how it interacts with other genes. “Each research team can only focus on a handful of genes at a time, while our genome is made up of close to 20,000 genes. We therefore made our tool available for other researchers to use it, in a fully open way,” highlights Jabaudon. A new study suggests that long-term stress can hurt short-term memory, in part due to inflammation brought on by an immune response. Researchers from Ohio State University performed experiments where mice were exposed to repeated social defeat by exposure to an aggressive, larger, alpha mouse. The mice that were under chronic stress, had difficulty remembering where the escape hole was in a maze they had previously mastered before the stressful period. The findings were published in The Journal of Neuroscience. “The stressed mice didn’t recall it. The mice that weren’t stressed really remembered it,” lead researcher Johnathan Godbout, associate professor of neuroscience at Ohio State, said in statement. The researchers noted that this kind of stress isn’t the once-in-a-while, acute stress someone might feel before a big meeting or presentation, but prolonged, continued stress. The mice also displayed depressive-like behavior through social avoidance that continued after four weeks of observation. Brain changes were also observed in the stressed mice, including inflammation associated with the presence of immune cells, known as macrophages, in the brain. The researchers also recorded shortfalls in the development of new neurons at 10 days and 28 days after the chronic stress ended. John Sheridan, associate director of Ohio State’s Institute for Behavioral Medicine said in a statement that there might be ways to interrupt the inflammation that occurs in the brain. When the mice were given a chemical that inhibited inflammation, both memory loss and the inflammatory macrophages disappeared, leading researchers to conclude that post-stress memory deficits is directly tied to inflammation and the immune system. The depressive symptoms and the brain-cell problem did not go away. The team aims to understand the underpinnings of stress and responses that could one day lead to treatments for people that suffer from anxiety, depression, or post-traumatic stress disorder. New information from this study could lead to immune-based treatments, Godbout said. Blood-brain barrier (BBB) models are often used to investigate BBB function and screen brain-penetrating therapeutics, but it has been difficult to construct a human model that possesses an optimal BBB phenotype and is readily scalable. To address this challenge, we developed a human in vitro BBB model comprising brain microvascular endothelial cells (BMECs), pericytes, astrocytes and neurons derived from renewable cell sources. First, retinoic acid (RA) was used to substantially enhance BBB phenotypes in human pluripotent stem cell (hPSC)-derived BMECs, particularly through adherens junction, tight junction, and multidrug resistance protein regulation. RA-treated hPSC-derived BMECs were subsequently co-cultured with primary human brain pericytes and human astrocytes and neurons derived from human neural progenitor cells (NPCs) to yield a fully human BBB model that possessed significant tightness as measured by transendothelial electrical resistance (~5,000 Ωxcm2). Overall, this scalable human BBB model may enable a wide range of neuroscience studies. The blood-brain barrier (BBB) is composed of brain microvascular endothelial cells (BMECs) which line brain capillaries and control molecular and cellular trafficking between the bloodstream and neural tissue. These properties are tightly regulated by the surrounding neurovascular microenvironment throughout BBB development and into adulthood. While this barrier is essential for preserving healthy brain activity, its dysfunction has been implicated in a number of neurological diseases1. Moreover, an intact BBB serves as a major bottleneck for brain drug delivery2. Studies regarding BBB development and regulation can be difficult and time-consuming to conduct in vivo and testing brain penetration of therapeutics in vivo is a low throughput endeavor. As such, in vitro BBB models have been widely implemented to study interactions between BMECs and other cells of the neurovascular unit and to conduct screens for prospective BBB-permeant drugs. In vitro BBB models are typically constructed using primary BMECs isolated from animal brain tissue, including bovine, porcine, rat, and mouse (reviewed extensively in ref. 3). These BMECs are then co-cultured with combinations of other cells of the neurovascular unit, such as neurons, pericytes, and astrocytes, to upregulate BBB properties4,5,6,7. Models derived from animal tissue have proven extremely useful in studying various aspects of the BBB, such as developmental and regulatory mechanisms8,9,10,11,12 and assaying drug permeability, but it is generally well-accepted that owing to species differences, a robust human BBB model is vital to achieve a detailed understanding of human developmental pathways and to conduct relevant drug discovery and design studies13. Human BMEC sources for BBB models have previously consisted of either primary biopsied brain tissue14,15 or immortalized cell lines16. Primary human BMECs typically possess moderate barrier properties but are of limited scale14,15, and immortalized BMECs are clonal and readily scalable but often suffer from suboptimal barrier properties16,17. From a co-culture perspective, human neurons, astrocytes, and pericytes can also be difficult to obtain from primary tissue sources in sufficient quantities for modeling purposes. These collective issues have hindered the development of in vitro human BBB models that are both high fidelity and scalable3. We have recently demonstrated that stem cells may be attractive candidates to replace primary cells in human BBB models. Human pluripotent stem cells (hPSCs), including both human embryonic stem cells (hESCs) and induced pluripotent stem cells (iPSCs), can be differentiated into cells possessing both endothelial and BBB properties (coined hPSC-derived BMECs) via co-differentiation of neural and endothelial progenitors, followed by selection and subsequent culture of the endothelial cells18. The iPSC-derived BMECs co-cultured with rat astrocytes possessed reasonable barrier tightness as measured by TEER (860 ± 260 Ωxcm2)18, but the TEER remained below some primary bovine19 and porcine20,21 models (800–2,000 Ωxcm2) and substantially lower than in vivo TEER (measured up to 5,900 Ωxcm2)22. In searching for candidates to improve the BBB phenotype, we identified all-trans retinoic acid (RA). BMECs in vivo have been shown to express retinol-binding protein and its membrane receptor STRA623,STRA6 expression has been detected in brain endothelium but not peripheral endothelium in adult mice24, and STRA6 expression was increased during the differentiation of hPSC-derived BMECs in our previous work18. Moreover, RA has been shown to upregulate certain BBB properties in immortalized rodent25,26 and human27 BMEC lines. In this manuscript, we demonstrate maturation of hPSC-derived BMEC phenotypes following retinoic acid (RA) addition during the differentiation process, including enhanced adherens junction protein expression, barrier function, and multidrug resistance protein (MRP) efflux activity. We also demonstrated in previous work that primary human neural progenitor cells (NPCs) could be differentiated to a defined mixture of neurons and astrocytes capable of inducing BBB properties in rat BMECs in co-culture7. In this manuscript, it is shown that under optimized culture conditions, RA-treated hPSC-derived BMECs sequentially co-cultured with primary human brain pericytes and NPC-derived astrocytes and neurons can achieve physiologic TEER values, forming a scalable, fully human BBB model. The purpose of this work was to construct a renewable, robust human BBB multicellular co-culture model employing hPSCs, NPCs, and pericytes. Using previous studies as guides25,26,31, RA was identified as a significant modulator of BMEC properties during hPSC differentiation that greatly enhanced physical barrier characteristics as demonstrated by elevated TEER in BMECs cultured alone or with neurovascular cell co-culture. In recent work, RA treatment on the hCMEC/D3 human brain endothelial cell line served to increase occludin and VE-cadherin expression, and the authors suggested that RA secreted by radial glia may be involved in BBB development27. In our study, when RA was added during the endothelial progenitor expansion phase of hPSC-derived BMEC differentiation, similar results were observed including an earlier onset of VE-cadherin expression and increased occludin expression. Moreover, the BMEC yield was increased 2-fold and the tightness of the hPSC-derived BMEC monolayers as measured by elevated TEER was significantly enhanced for three different hPSC lines. Somewhat unexpectedly, RA treatment resulted in decreased claudin-5 expression. However, the Western blotting analysis was conducted using whole-cell lysates and does not take into account the substantially improved intercellular claudin-5 junctional continuity upon RA treatment (Fig. 2C). We and others have previously observed a strong correlation between such junctional continuity and resultant barrier phenotype6,29,32. In addition, previous work has demonstrated claudin-5 expression is relatively constant across peripheral and BBB endothelium while occludin expression is increased at the BBB relative to other vascular beds31. Thus, a combination of claudin-5 localization and elevated occludin expression may be the key phenotypic indicators of increased barrier function31,33. RA treatment of hPSC-derived BMECs also selectively increased MRP efflux activity, which agrees with reports demonstrating that signaling via nuclear receptors can regulate efflux transporter expression and activity at the blood-brain barrier in vitro and in vivo34,35,36,37. RA influences many aspects of brain development, such as anterior/posterior axis patterning in the hindbrain and anterior spinal cord38,39,40 and regulation of neurogenesis41,42,43. During BMEC differentiation, RA could trigger several modes of action. RA may act directly on the developing endothelial cells to upregulate BBB properties, it could induce changes in the neural cells to indirectly promote BBB differentiation, or it could act by a combination of these mechanisms. Future work will be necessary to deconvolute the RA signaling mechanisms affecting the hPSC-derived BMEC differentiation scheme. Understanding the sleeping brain may be the key to unlocking the secrets of the human mind. Many scientists who study the mind live in fantasyland. They ought to move back to reality: neuroscientists, psychologists, computer scientists pursuing artificial intelligence, and the philosophers of mind who are, in many cases, the sharpest thinkers in the room. The mind makes us rational. That mind is the one we choose to study. When we study sleep or dreaming, we isolate them first—as the specialized topics they are. But, as I argue in my new book The Tides of Mind, we will never reach a deep understanding of mind unless we start with an integrated view, stretching from rational, methodical thought to nightmares. Integrating dreaming with the rest of mind is something like being asked to assemble a car from a large pile of metal, plastic, rubber, glass, and an ocelot. Dreaming is hallucination, centering on a radically different self from our waking selves, within unreal settings and stories. Dreams can please or scare us far more vividly than our ordinary thoughts. And they are so slippery, so hard to grasp, that we start losing them the moment we wake up. But dreaming fits easily into the big picture of mind; and we will make no basic progress on understanding the mind until we see how. Dreaming is the endpoint of the spectrum of consciousness, the smooth progression from one type of consciousness to the next, that we each experience daily. The simplest approach to the spectrum centers on mental focus. The quality of our attention goes from concentrated to diffuse over the course of a normal day; from a state in which we can concentrate—we can think and remember in a relatively disciplined way—to one in which, with our minds wandering and memory growing increasingly vibrant and distracting, we approach sleep. Then our thinking becomes hallucinatory (as we pass through “sleep-onset thought”); and finally, we are asleep and dreaming. Usually, we oscillate down and up more than once during the day. We move partway down, come partway back, then finally slide slowly to the bottom, when we sleep and dream. We can also describe the spectrum as a steady shift from a mind dominated by action to one dominated by passive mental experience; from mental doing to mental being. In the upper spectrum, we tend to ignore emotion as we pursue some mental object by means of reasoning or analysis. But the daydreams and fantasies that occupy us as we move down-spectrum are often emotional. And in dreaming we encounter the most saturated emotions, good and bad, that the mind can generate. The spectrum clarifies important aspects of the mind. “Intentionality,” the quality of aboutness (“I believe that bird is a sparrow” is about “that bird”), is sometimes called “the mark of the mental”—the distinguishing attribute of mental states. But intentionality belongs strictly to the upper spectrum, and disappears gradually as we descend. At the bottom, our minds are dominated by experience, pure being. Happiness or pain or “the experience of seeing purple” are states that have causes but are about nothing. Software simulations of the upper spectrum, of thinking-about, have grown steadily stronger over the years. That trend will continue. Being, however, is not computable. Software can no more reproduce “being happy” than it can reproduce “being rusty.” Such states depend on physical properties of particular objects. A digital computer resembles only the upper-spectrum mind. Software will never come close to reproducing the mind as a whole. Leaving sleep outside our investigation is a good way not to see any of this. Arbitrarily hacking off one end of any natural spectrum is an invitation to conceptual chaos. There has been plenty of that in the science of mind. We must start by understanding sleep and dreaming, and go from there. David Gelernter is a professor of computer science at Yale University. Read an excerpt from his latest book, The Tides of Mind: Uncovering the Spectrum of Consciousness at the-scientist.com. Serotonin’s long-debated role in sleep promotion is temperature-dependent. N.M. Murray et al., “Insomnia caused by serotonin depletion is due to hypothermia,” Sleep, 38:1985-93, 2015. Early research into serotonin’s functions suggested that the neurotransmitter promotes sleep: lab animals deprived of the chemical often developed insomnia. More recent evidence indicated that serotonin plays a part in wakefulness instead, a theory that has gained significant traction. But explanations of the initial experimental data were scarce—so Nick Murray, then a research fellow at the University of Iowa Carver College of Medicine, started digging. “Over the past 5 or 10 years, we’ve found that serotonin is a key neurotransmitter for generating body heat,” says Murray. To investigate whether this role was related to serotonin’s impact on sleep, he and his colleagues injected para-chlorophenylalanine into mice to inhibit serotonin synthesis. When kept at room temperature (20 °C), the mice with depleted serotonin slept less and developed a lower body temperature compared with their control counterparts. However, when housed at 33 °C—a thermoneutral temperature for mice—the sleep and body temperature of the treated mice stayed normal. “Serotonin isn’t a sleep-promoting neurotransmitter,” concludes Murray, now a resident at California Pacific Medical Center. He suggests that mice lacking serotonin had a tough time sleeping under early experimental conditions simply because the animals were cold, and that at higher temperatures other neurotransmitter systems in the brain would function to allow them a normal sleep-wake cycle. Independent evidence associates β-amyloid pathology with both non-rapid eye movement (NREM) sleep disruption and memory impairment in older adults. However, whether the influence of β-amyloid pathology on hippocampus-dependent memory is, in part, driven by impairments of NREM slow wave activity (SWA) and associated overnight memory consolidation is unknown. Here we show that β-amyloid burden in medial prefrontal cortex (mPFC) correlates significantly with the severity of impairment in NREM SWA generation. Moreover, reduced NREM SWA generation was further associated with impaired overnight memory consolidation and impoverished hippocampal-neocortical memory transformation. Furthermore, structural equation models revealed that the association between mPFC β-amyloid pathology and impaired hippocampus-dependent memory consolidation was not direct, but instead statistically depended on the intermediary factor of diminished NREM SWA. By linking β-amyloid pathology with impaired NREM SWA, these data implicate sleep disruption as a mechanistic pathway through which β-amyloid pathology may contribute to hippocampus-dependent cognitive decline in the elderly. Figure 1: Aβ, NREM SWA and memory retention measures in three sample subjects. 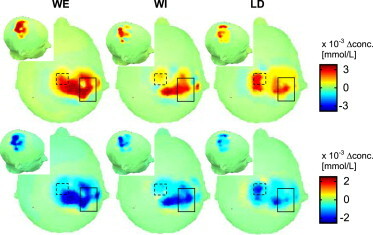 Figure 2: Associations between Aβ, NREM SWA and memory retention measures. Chemical changes in brain cells caused by disturbances in the body’s day-night cycle may lead to the learning and memory loss associated with Alzheimer’s disease, according to a University of California, Irvine (UCI) study. People with Alzheimer’s often have problems with sleeping or may experience changes in their slumber schedule. Scientists do not completely understand why these disturbances occur. To examine the link between learning and memory and circadian disturbances, his team altered normal light-dark patterns, with an eight-hour shortening of the dark period every three days for two groups of mice: young mouse models of Alzheimer’s disease (mice genetically modified to have AD symptoms) and normal mice. The resulting jet lag greatly reduced activity in both sets of mice. The researchers found that in water maze tests, the AD mouse models had significant learning impairments that were absent in the AD mouse models not exposed to light-dark variations or in normal mice with jet lag. However, memory three days after training was impaired in both types of mice. In follow-up tissue studies, they saw that jet lag caused a decrease in glutathione levels in the brain cells of all the mice. But these levels were much lower in the AD mouse models and corresponded to poor performance in the water maze tests. Glutathione is a major antioxidant that helps prevent damage to essential cellular components. Glutathione deficiencies produce redox changes in brain cells. Redox reactions involve the transfer of electrons, which leads to alterations in the oxidation state of atoms and may affect brain metabolism and inflammation. Brewer pointed to the accelerated oxidative stress as a vital component in Alzheimer’s-related learning and memory loss and noted that potential drug treatments could target these changes in redox reactions. “This study suggests that clinicians and caregivers should add good sleep habits to regular exercise and a healthy diet to maximize good memory,” he said. Study results appear online in the Journal of Alzheimer’s Disease. AD has emerged as a global public health issue, currently estimated to affect 4.4% of persons 65 years old and 22% of those aged 90 and older, with an estimated 5.4 million Americans affected, according to the paper. It is unclear whether pre-symptomatic Alzheimer’s disease (AD) causes circadian disruption or whether circadian disruption accelerates AD pathogenesis. In order to examine the sensitivity of learning and memory to circadian disruption, we altered normal lighting phases by an 8 h shortening of the dark period every 3 days (jet lag) in the APPSwDI NOS2–/– model of AD (AD-Tg) at a young age (4-5 months), when memory is not yet affected compared to non-transgenic (non-Tg) mice. Analysis of activity in 12-12 h lighting or constant darkness showed only minor differences between AD-Tg and non-Tg mice. Jet lag greatly reduced activity in both genotypes during the normal dark time. Learning on the Morris water maze was significantly impaired only in the AD-Tg mice exposed to jet lag. However, memory 3 days after training was impaired in both genotypes. Jet lag caused a decrease of glutathione (GSH) levels that tended to be more pronounced in AD-Tg than in non-Tg brains and an associated increase in NADH levels in both genotypes. Lower brain GSH levels after jet lag correlated with poor performance on the maze. These data indicate that the combination of the environmental stress of circadian disruption together with latent stress of the mutant amyloid and NOS2 knockout contributes to cognitive deficits that correlate with lower GSH levels. Rohrer, M. Bandyopadhyay and C. Beeson. Adv Exp Med Biol. 2016 Jan 1, 854: 793-8. S. Bharadwaj, D. J. Tyrrell, I. Leng, J. L. Demons, M. F. Lyles, J. J. Carr, B. J. Nicklas and A. J. Molina. BMC Obes. 2015 Oct 6, 2: 40. Curr Diab Rep. 2015 Nov 1, 15 (11): 89. Beeson, C. Lindsey, C. Nasarre, M. Bandyopadhyay, N. Perron and B. Rohrer. Adv Exp Med Biol. 2016 Jan 1, 854: 449-54.